BlazBlue Central Fiction is the latest game in the storied BlazBlue franchise. Fresh off of what will likely be another stunning showing at EVO 2017, BlazBlue is officially joining our ECT 2017 game line-up. BBCF’s new fighting system allows for massive amounts of combo and gameplay innovation which will undoubtedly lead to history-making fighting game moments when it starts seeing tournament play. 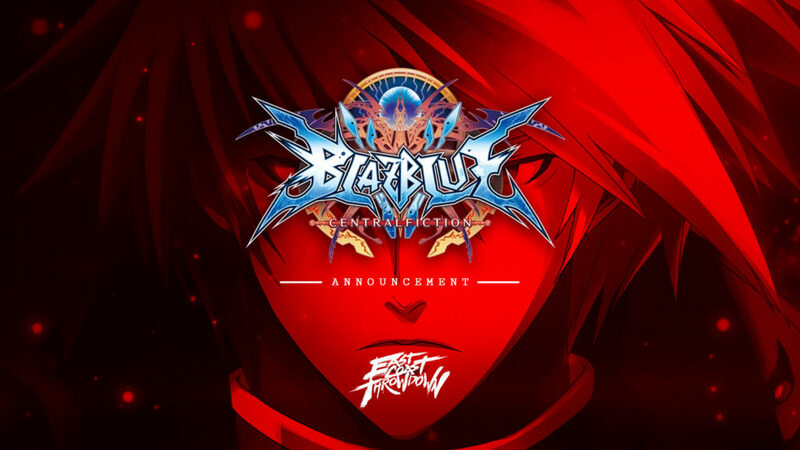 We’re excited to have BlazBlue Central Fiction as part of our roster at East Coast Throwdown, because of those hype moments that it’s known for. With the tournament season heating up, anime game fans need to prepare yourself for a slew of new blood, new characters, new tech, system mechanics and more. The three previous games in the BlazBlue series have become international sensations, exhibiting a level of animation quality unmatched in a sprite-based 2D fighting game. The HD sprites look absolutely gorgeous on screen, especially when they’re in the hands of top fighting game players. Throughout the years BlazBlue has offered some of the hypest matches in history. Who can forget the EVO 2014 BlazBlue: Chrono Phantasma grand finals with Dogura and Garireo duking it out in one of the best sets we’ve ever witnessed in a fighting game tournament. Grassroots Esports Comes To Anime Fighters! Unlike in 2014, BBCF will actually be featured as part of a grass roots esports league this year. Community leaders have put their collective minds together in an effort to provide anime game fans their own “Pro Tour” to follow in an effort to help grow the anime fighting game scene. Burst League allows participants at local, regional, and major events across North America to earn and accumulate “Burst League Points” based on how well they perform at these events. Points will be awarded to the Top 8 finishers at Burst League events. We couldn’t be more pleased to announce that East Coast Throwdown is one of those esports events this year. We are proud to have partnered with Burst League to offer our anime competitors a chance at anime glory at the Burst League Grand Finals at CEOtaku 2017 in Orlando, FL. East Coast Throwdown 2017 will be the final stop on the tour, and your last chance at earning your trip to the finals in Orlando. With BBCF making another historic appearance at EVO, and now the introduction of Burst League at ECT, it’s time to hit training mode — its gonna be one hell of a year for BlazBlue fans. If you haven’t already. Be sure to register for ECT and book your room to guarantee your spot as a BBCF Burst League competitor!